The Wright Wreport: Revenge: It Feels So Good. And It Feels So Bad. Revenge: It Feels So Good. And It Feels So Bad. Clint Eastwood in "Hang 'Em High" as Jed Cooper, a man seeking revenge against those who wronged him. Archive photo. YOU'VE been wronged. You are livid. Somebody's gonna pay and payback is gonna be good. Sweet! Revenge. It has a reputation of being thus. It's true, but revenge is also bitter, according to some nuanced research out of Washington University in St. Louis. "The bittersweet taste of revenge: On the negative and positive consequences of retaliation" is to be published in the Journal of Experimental Social Psychology. Their findings replicate those of other revenge studies that show that getting even alternately makes people feel good because it gives them the sense that justice is served. Or worse because it reminds them of the initial wrong. But not until now has a study made the case for both the bitter and sweet nature of revenge. In three experiments, 200 people read polarizing, non-polarizing and neutral news events. They included the killing of Osama bin Laden, believed to be the brains behind the attacks on 11 Sept. 2001. Participsnts also read articles about the Olympics. Then, researchers rated how closely participant responses paralleled a random list of 25 adjectives, such as happy, edgy, satisfied, irritated, mad, upset or sad. They further departed from previous research in measuring emotions rather than mood, theorizing that psychologists misleadingly use the terms interchangeably. Researchers' working definition of mood denotes feelings that are gradual and lingering, while emotions are intense and short-lived. 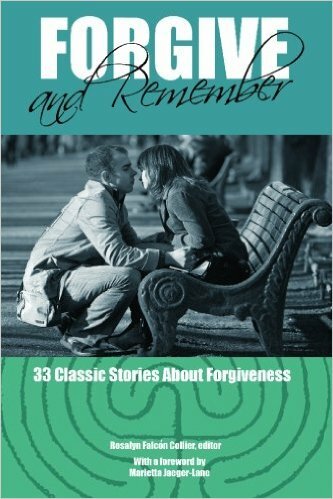 In Rosalyn Falcon Collier's "Forgive and Remember: 33 Classic Stories About Forgiveness," some of the world's most influential writers share experiences with forgiveness and revenge. The book also features films that explore forgiveness. On the otherhand, Americans were reminded of the tragic events that gave rise to the common phrase, "terror organization." In this case, perhaps God has the right of it, no? : "Vengeance is mine." Visit http://www.bit.ly/29GPLMk to read an abstract or "The bittersweet taste of revenge: On the negative and positive consequences of retaliation" in its entirety.